Microwear, a Chinese company, after the success of its Microwear X2 plus watch, thought of creating its successor, with more advanced features and better quality and Microwear X7 is the result in front of everyone. Microwear X7 is a breathtaking gadget with advanced features, which is capturing the heart of all the customers by its sleek-fashionable design. This smartwatch will not only make you look up to date but will also send you to get away from those bulky phones. Microwear is not a big name in the market but they have a very quality product. The previously launched smartwatch and fitness band performed well and they have given a big exposure to the brand. 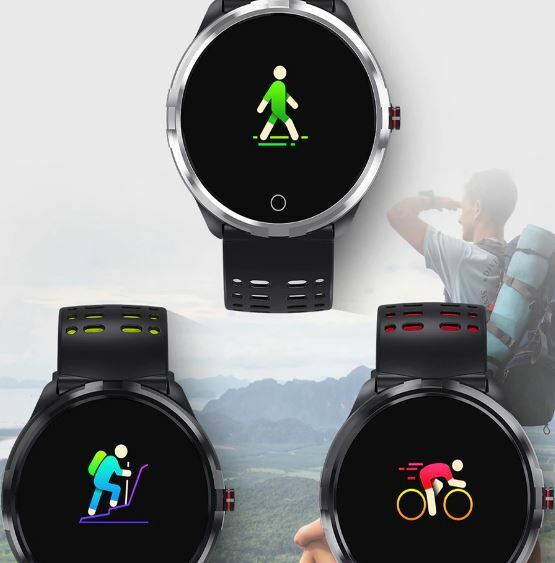 Now Microwear came up with the new Fitness watch as Microwear X7. Like any other watch in the market, the new Microwear X7 also has a circular dial. It has a small screen of 1.04 inches and screen or display resolution of 128*96 pixels. It has the best high definition picture display in its size and its large display of the watch provides you better quality and a bright view like never before. The watch comes in three different color options Red, Silver, and Green. The X7 looks pretty stylish because of its simple and uncomplicated look and easily catches the attention of everyone. The watch also provides you with physical support by side of the display, which allows you to run various features of your smartwatch manually. There is also a home button on the watch and your watch will light up whenever you will press the button. The new Microwear X7 can be considered as mainly made for sports lovers and is easily making every fitness-loving customer its captive. It allows you to keep a track of your many activities running, cycling, swimming, heartbeat, and even sleep. Well, the watch works mighty fine under the sun and maybe that’s the reason, why the GPS of the watch only works outdoors. 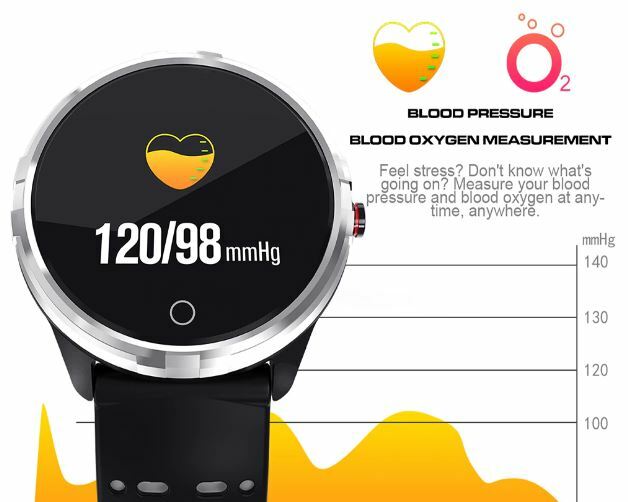 The watch has the features as Heart Rate Tracker, Sleep monitor, Blood Pressure, Oxygen measure, Pedometer, Bicycling, Running, Swimming etc. You can choose any of the modes from the screen. Must say that these features are very good and tell you accurate data. Another good news about the Microwear X7 smartwatch is that it is completely waterproof, which means it allows you to enjoy all water sports too without even being worried about it. Still, it is advisable to refrain wearing this watch near any Sauna or hot spring, as the warm environment might make your skin feel terrible and can even cause other problems. The X7 also has a swimming mode to keep track of your swimming activity. It will keep the data like how many laps you have covered and the time taken by you. Not only that it will also notify about the calories you have burned during swimming. 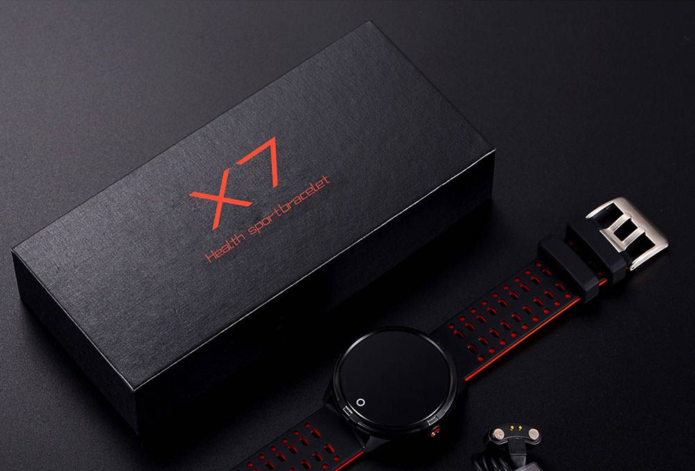 The new Microwear X7 smartwatch has a new advanced sensor as “Heart rate monitoring system”, which can depict your nerve with the help of sensor on the backside of the watch. The sensor automatically starts whenever you as wear the watch and helps to get the proper nerve from your body. It will continue to track your heart rate in the background this features you will only see in the high priced smartwatch as Fitbit, Apple, Samsung. But Microwear somehow provides that in a such a low price. 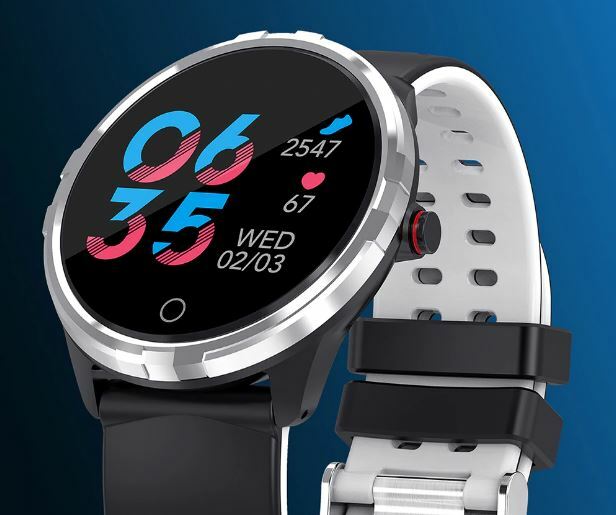 The Microwear smartwatch comes with Bluetooth feature and can easily be connected to Android device and iOS devices, through which you can easily operate the watch through the phone. It also has sensors like the geomagnetic sensor, barometer along with the three-axis accelerometer, which makes it worth its price. The Microwear X7 is compatible with the both Android and iOS device. 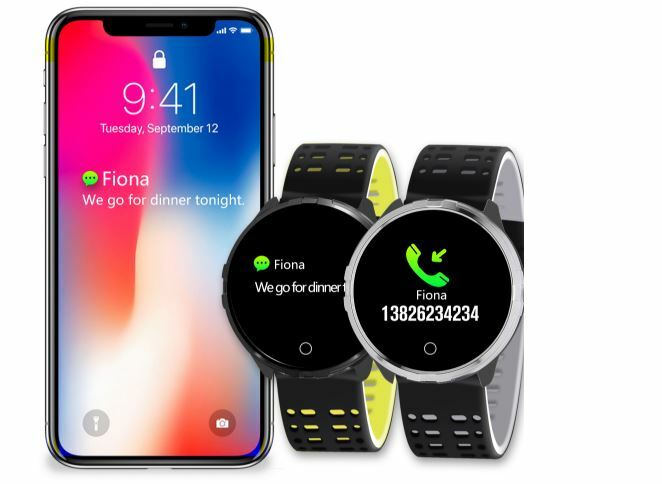 To connect the watch with the device you need to download Microwear X7 watch App and connect X7 with the device Bluetooth through App. Once you connected to the device it will automatically show all the notification as calls, Massages, email, chat notification etc. You can not reply to them but still, it is so helpful to see important calls, messages on your wrist. The new Microwear X7 has got an in-built battery, made up of Lithium-ion-polymer of 210 mAh. The battery is of sufficient size as per the size of the smartwatch. It takes about 1-2 hours to charge it and can be used 30 days and for 60 days on standby. The best part about the smartwatch is that you don’t have to download any of these applications in your watch; they are all advanced features that come along the watch. This smartwatch almost has every specs and feature on point. Different from other watches and unique in its own way makes it worth its prize. This new Microwear X7 is all set to make sure you fall for it. When, are you ready to own it.